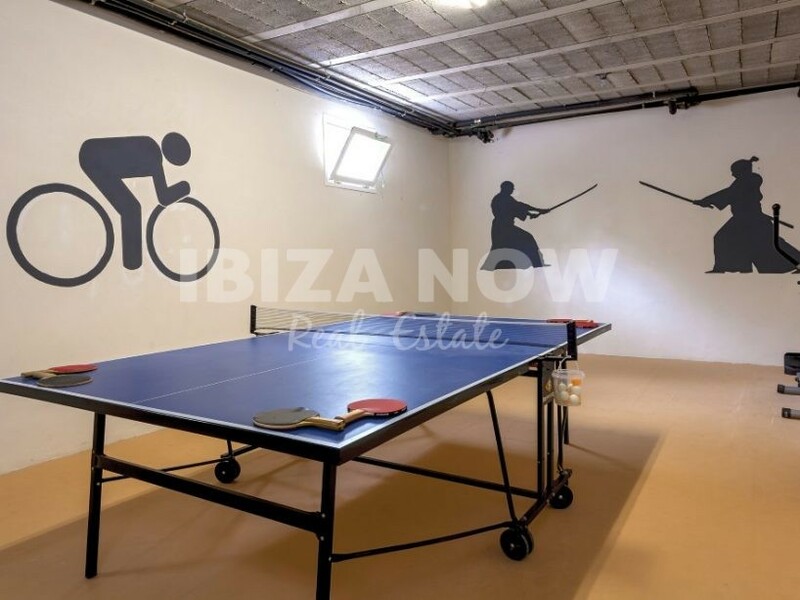 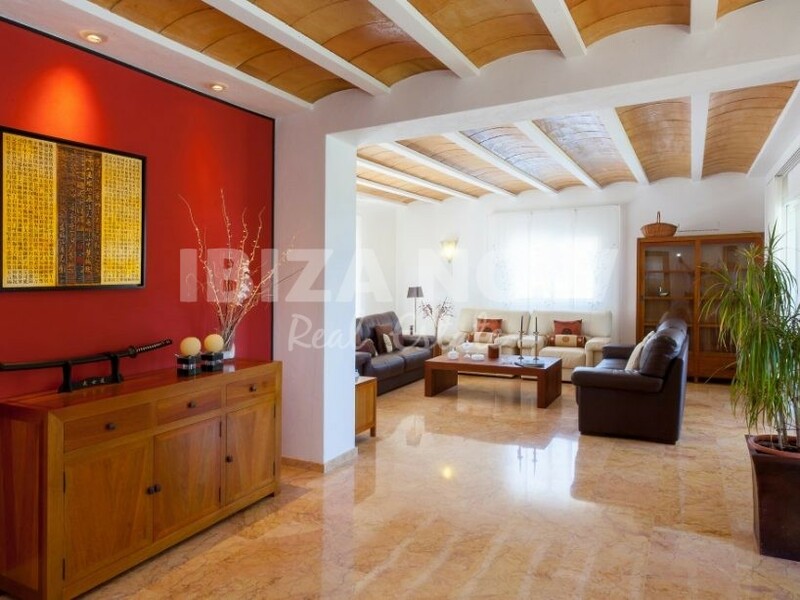 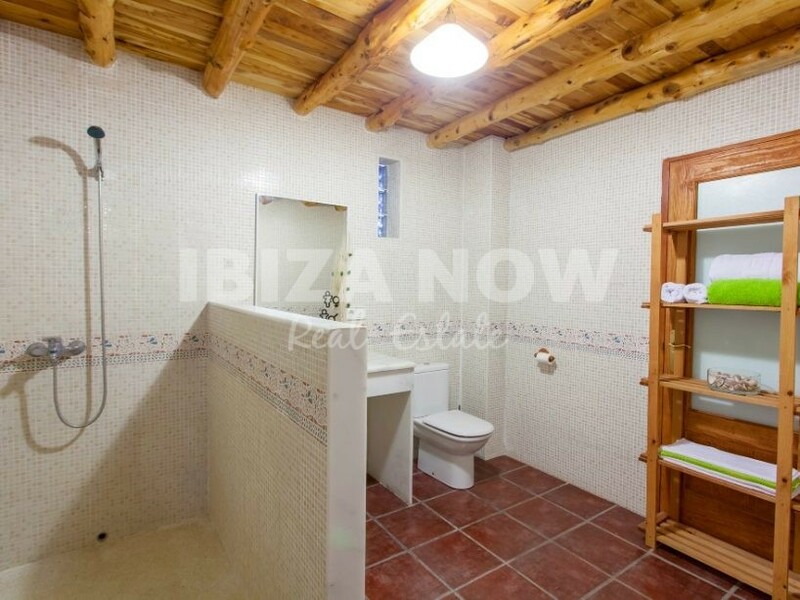 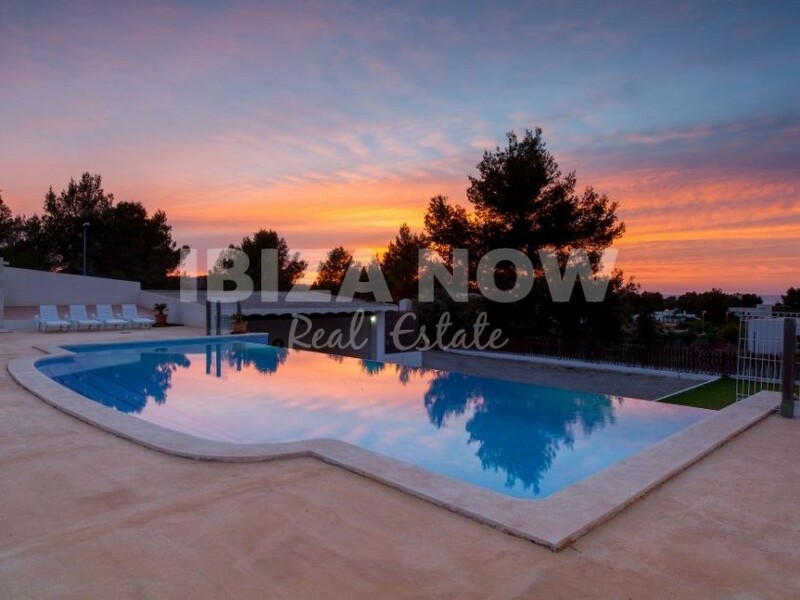 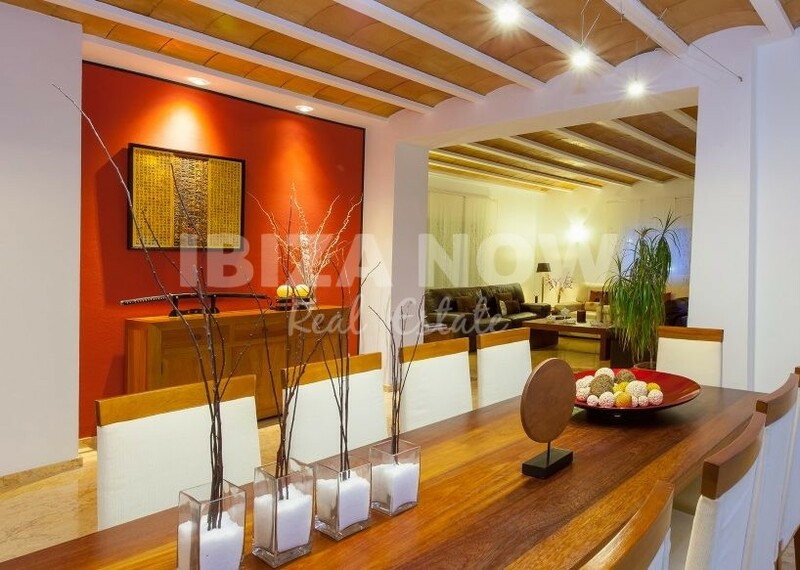 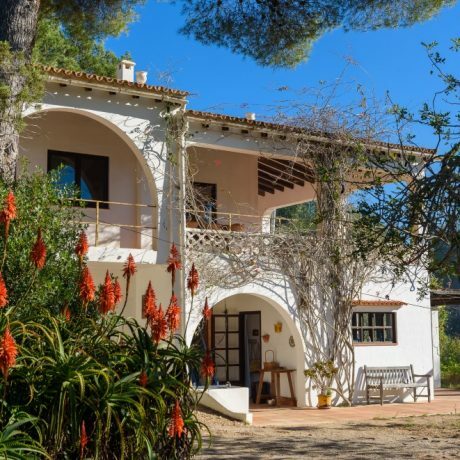 Large 4 bedroom house with rental license close to the beaches of Cala Bassa and Cala Conta, Ibiza. 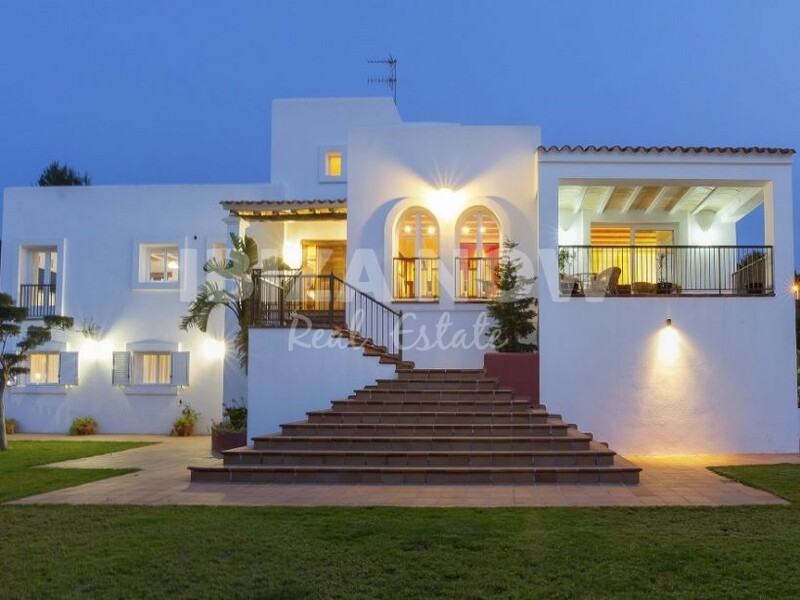 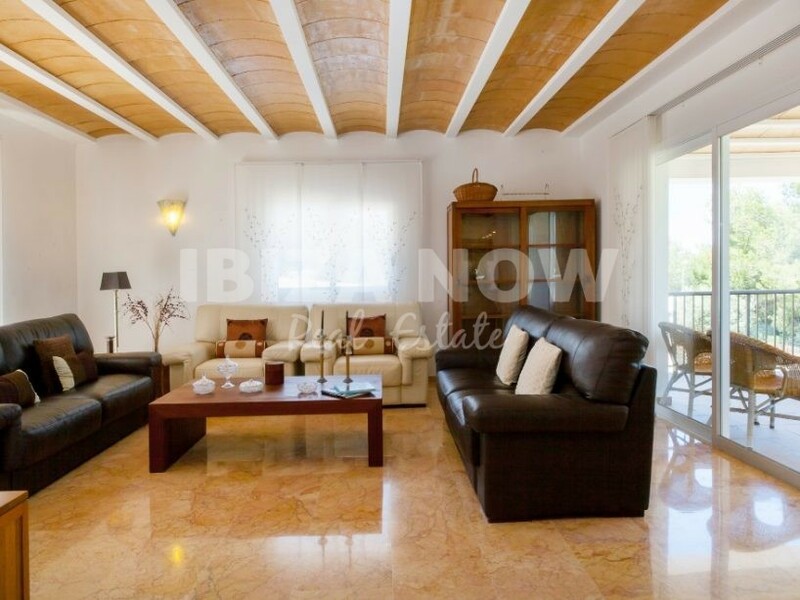 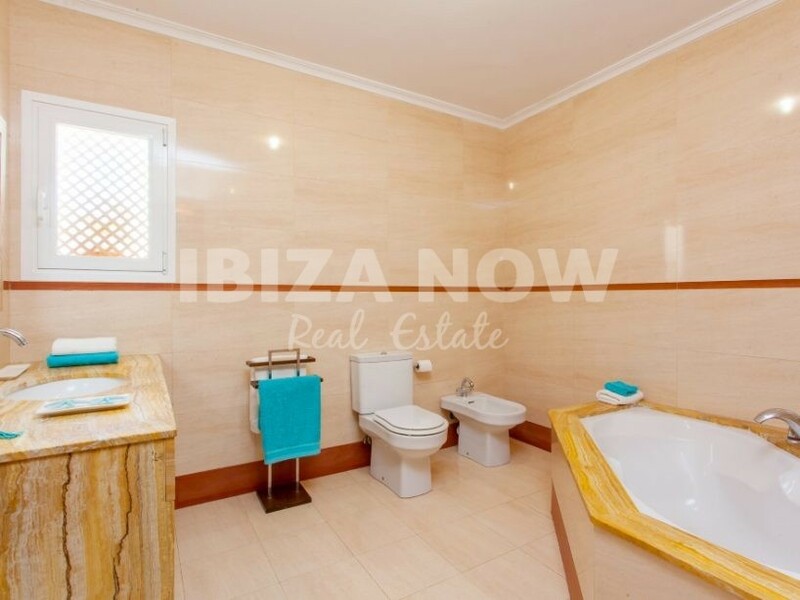 This large 4 bedroom house is located in a quiet area close to beaches like Cala Bassa and Cala Conta. 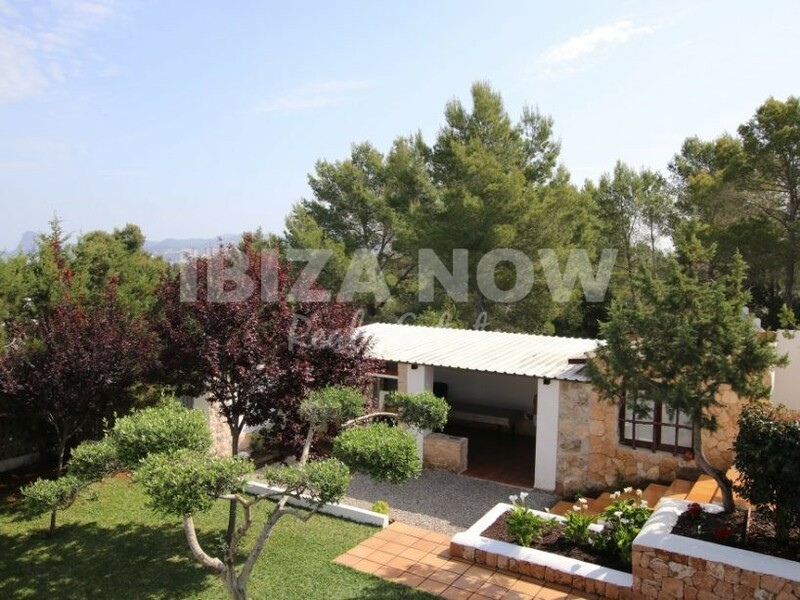 Set on a plot of 2145m2 and with a 500m2 built house with the possibility to legally extend. 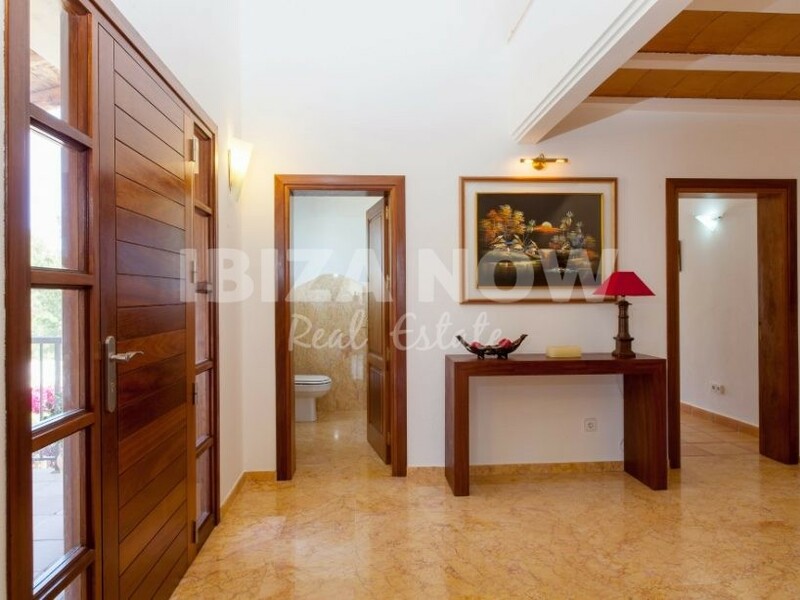 In total there are 4 bedrooms distributed over 2 floors. 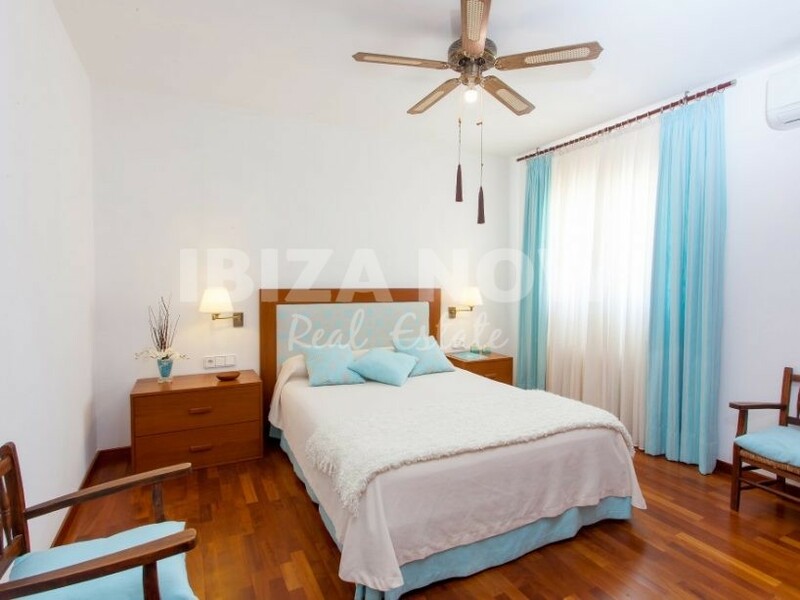 On the main floor, we find a lobby, guest toilet, a large living/dining area, fully equipped kitchen, master bedroom with ensuite bathroom and fitted wardrobes, 2 double bedrooms with 1 bathroom, and 2 terraces with sea views. 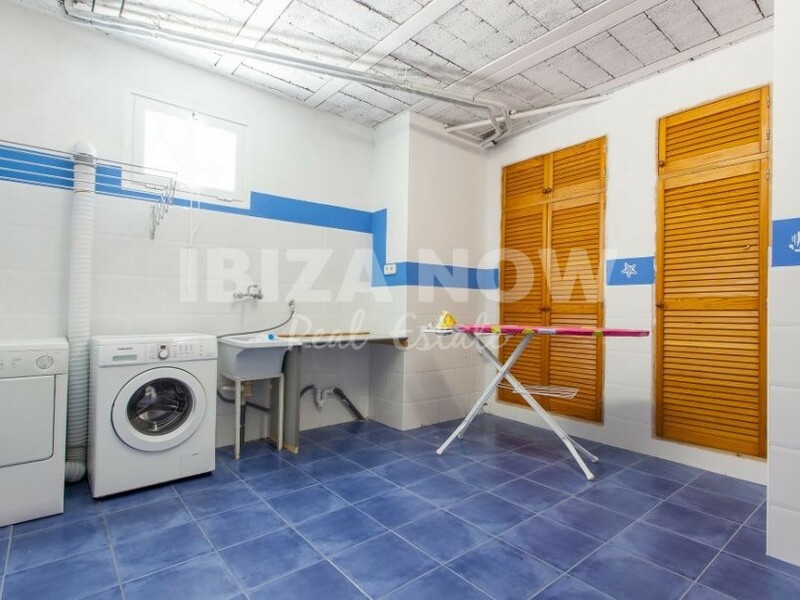 On the ground floor, we find a large bedroom, a complete bathroom, play area which could easily be turned into another bedroom, laundry room and storage room. 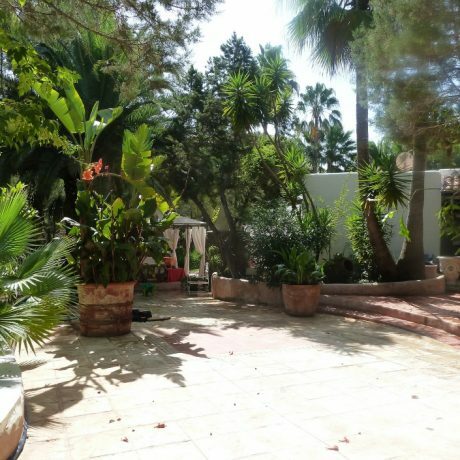 As for the garden area here we have a large infinity pool, covered terrace with bbq area, garage for 3 cars, a mature garden with several fruit trees. 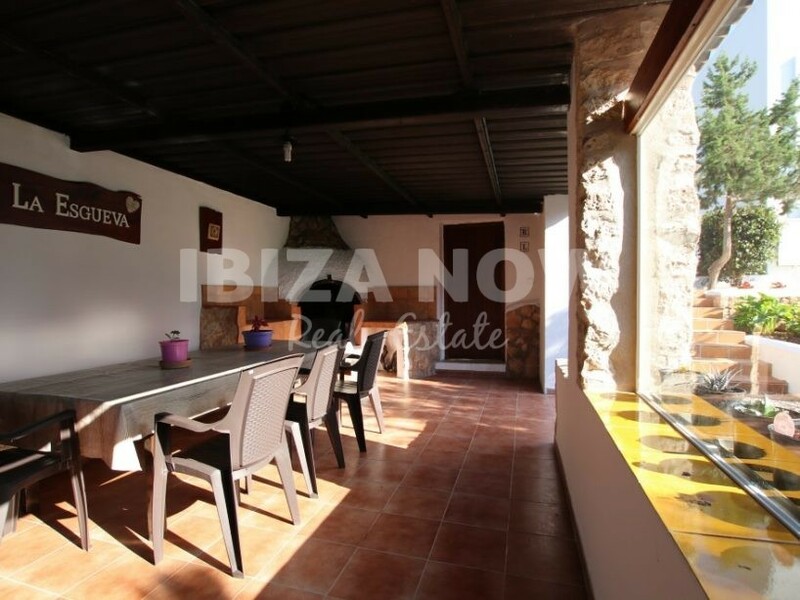 Furthermore, the house has air conditioning warm and cold in all rooms and pre-installation in the living room, double glazing, solar panels, and an alarm system. 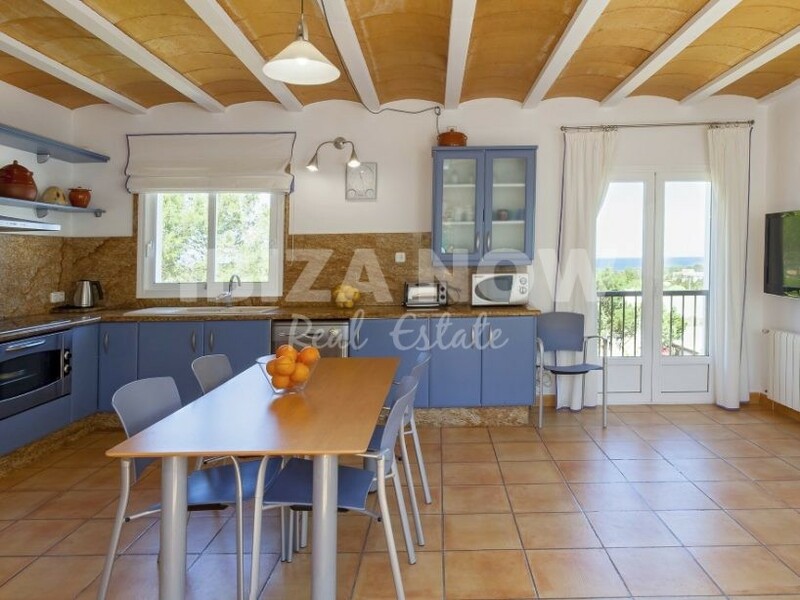 A very well maintained property with views of the sea and mountains.